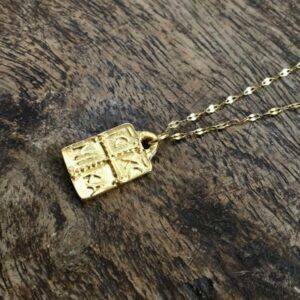 This necklace is strung with a square pendant and made of gold plated brass 24k and steel chain. Wear yours with a plunging neckline. Boho and elegant at the same time this beautiful necklace is made of gold plated steel and strung with a lustrous freshwater pearl. Available in 3 lengths. 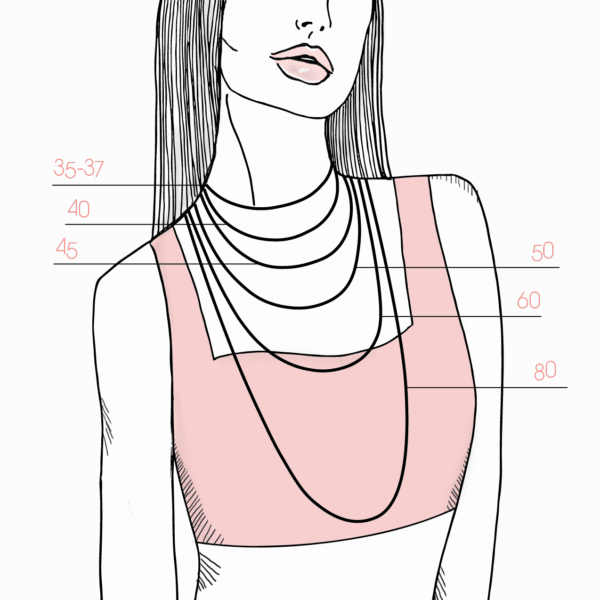 Layer them together or choose your preference length from scrolling menu. 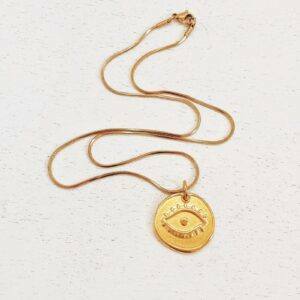 Beautiful necklace with zodiac sign pendant made of gold and silver plated brass and silver plated steel chain. 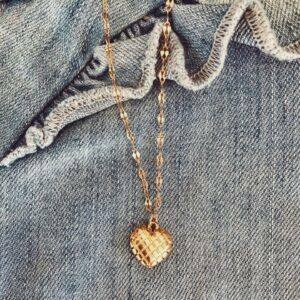 The length of the necklace is available in 45 cm and 60 cm. You can choose the length from scrolling menu. 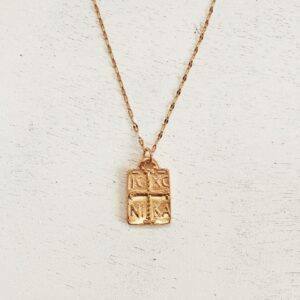 This delicate pendant necklace is made of gold plated brass 24k and steel chain. It will look equally as stunning worn alone or stacked with other chains and pendants. 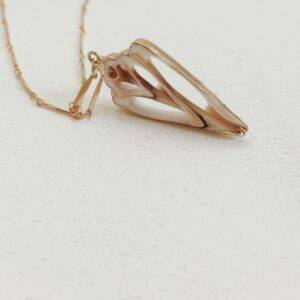 Flora necklace is made of gold plated steel chain strung with a delicate shell pendant. We like it with plunging necklines but it will also look stunning over t-shirts. 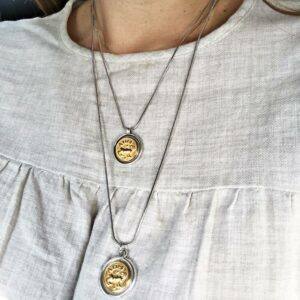 The Earth pendant necklace is made of gold / silver plated brass and steel. Wear yours layered with similar styles from the collection. 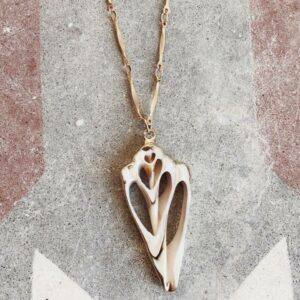 This natural shell in white color is strung on a gold tone chain. 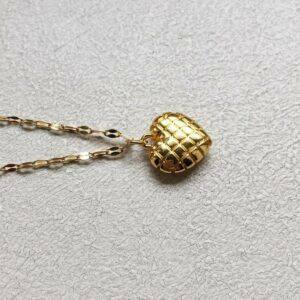 The chain is made of gold plated brass. 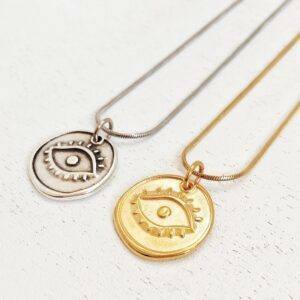 This necklace is strung with an evil eye pendant made of silver or gold plated brass 24k and silver or gold plated steel chain. We love it over T-shirts. It will look equally as stunning worn alone or stacked with other chains and pendants. Choose the length and the metal color from scrolling menu.